Compared to conventional insulation options, premium cellulose insulation will end up making a big different in your pocket in the long run, and you might even quality for potential tax credits that could significantly save you in material costs! These products are manufactured in an environmentally friendly manner and help provide you with safe insulation that will help greatly reduce your carbon footprint. Being responsible for the environment is important, and cellulose insulation is one of the best steps you can take as a homeowner to being a responsible and green homeowner. 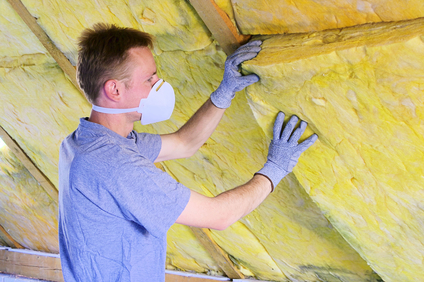 All of our insulation contractors are also well versed in the installation processes involved with fiberglass insulation. This reliable product has been around for over 70 years, and is widely used by the majority of builders as it provides reliable and long lasting insulation. Though it is not as efficient or as green as some spray foam or cellulose insulation options, it is more cost effective and provides exceptional thermal performance and energy efficiency. Due to the nature of the material, fiberglass insulation is easy to install and can be done so in a variety of ways. This flexible material can be stacked easily to provide the desired amount of insulation without any trouble, and can provide your home with exceptional thermal performance. If you are in need of the best in fiberglass and cellulose insulation installation services, please give us a call today at 678-561-FOAM or complete our online request form.